Fugitive economic offender Vijay Mallya, says court! Sri Ramachandra Murthy January 7, 2019 13:30 IST Fugitive economic offender Vijay Mallya, says court! 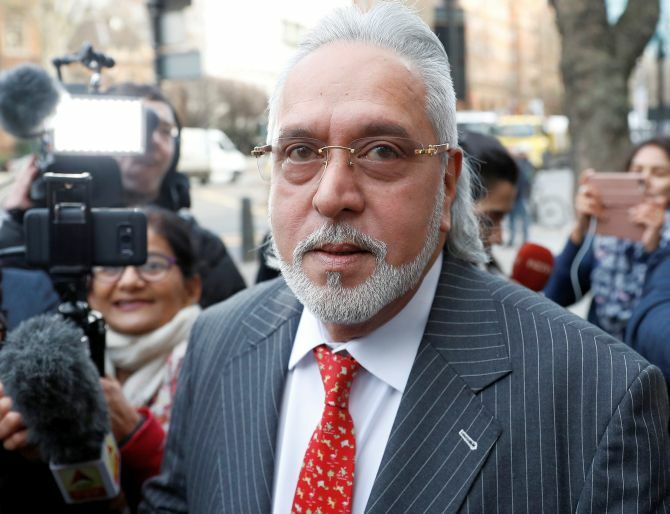 Liquor baron Vijay Mallya, known for the popular Kingfisher brand, had escaped from India to London, without repaying the loans he had obtained from Indian public sector union banks, and now he's been declared as fugitive economic offender by court. Mallya was given permission to be extradited, by British court a judgment in favor of Indian government. Mallya also accused that these were politically motivated to defame him while also expressing his willingness to repay loans. Yesterday a special PMLA Prevention of Money Laundering act court gave a verdict that Vijay Mallya is a fugitive economic offender, and this Verdict came after a move by Enforcement Directorate. With this PMLA verdict now Mallya's properties can be seized by the government.